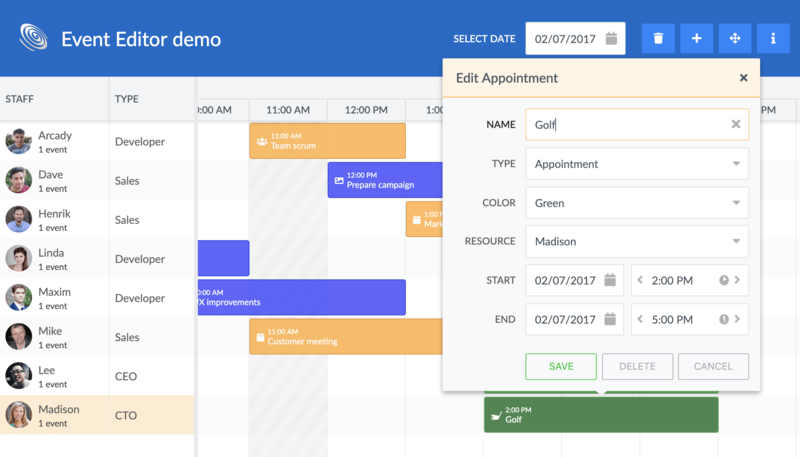 We are really excited to announce the 2.0 release of our Bryntum Scheduler component. 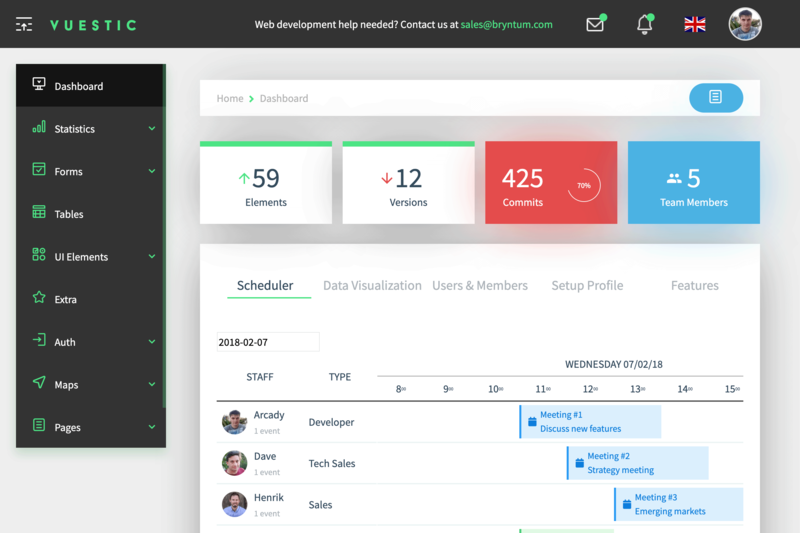 There is lots of new features, enhancements and a slew of bug fixes included. This blog post walks you through the bigger changes, for full details please see the change log. While yet not available on NPM, you can now install the Scheduler as a local NPM package from the downloaded sources. This makes it much easier to integrate it with JS frameworks and our framework demos has been updated with the new approach. We have created a new modern theme for Scheduler, called “Stockholm” (the new default). Like the city itself we strived for a clean and modern look, we hope you will like it! Ionic is a very popular framework for cross-platform apps and we decided to make a new demo for it. We recently visited Reykjavik to have an internal company hackathon. One of the cool things we built in Iceland was a new web sockets demo consisting of an in-browser client and a node server, allowing multiple users to interact with the same scheduler simultaneously. Try it out locally, it’s really cool! We have begun a larger effort to port demos to the most popular frameworks out there. 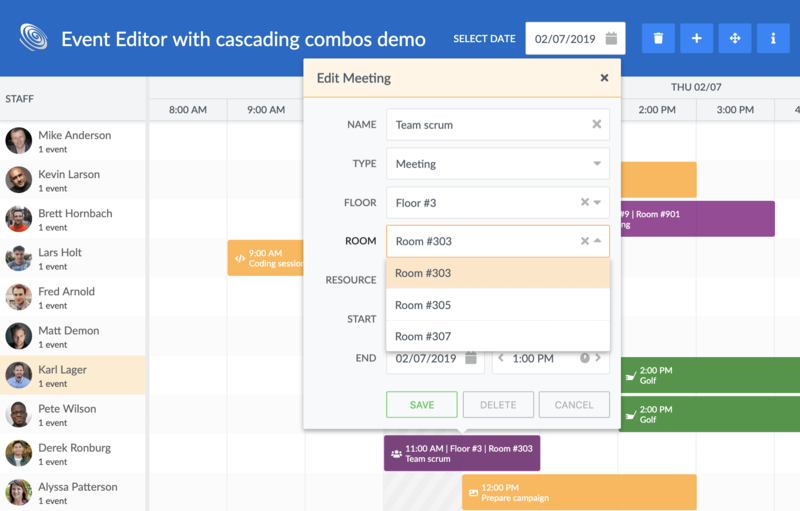 In this release we have added three demos for Vue, one using the nice Vuestic admin dashboard template and two ports of popular existing demos (using TypeScript): drag-from-grid and drag-onto-tasks. To prevent using an initial animation, simply configure it to false. To reduce the complexity of our code and styling rules we decided to always render events as containers. This behaviour was previously configurable using renderEventsAsContainers. With this now always on, events will always consist of an outer wrapper and an inner element (the actual bar displayed). The wrapper is used to contain labels that needs to align to the rendered event bar. This change might break some of your custom styling, especially if you where targeting .b-sch-event-wrapper. We rebuilt the tree support in our Store and it now works more like you would expect, and it has a root node (hidden when rendered) and data manipulations should be done on the nodes themselves rather than on the Store (instead of store.add(), use node.appendChild() etc). As a part of the refactoring we also changed the behaviour when expanding/collapsing in a tree. The Store is considered the “visible” expanded part of the tree, while the tree in full is kept as part of the root node. When expanding or collapsing records will be added to or removed from the Store part, thus triggering add and remove related events. To distinguish these events from normal adds and removes, you can check the isExpand and isCollapse flags. If you are not using trees, this change should not affect you. As part of our major releases we also ensure we do some house cleaning. Please review the list below carefully and update your code accordingly. Scheduler now renders on paint instead of on render. This should only matter if you are using Scheduler inside one of our containers (for example our TabPanel), in which case it is rendered when shown instead of directly. The idField config was removed from Store. It is still available on Model. 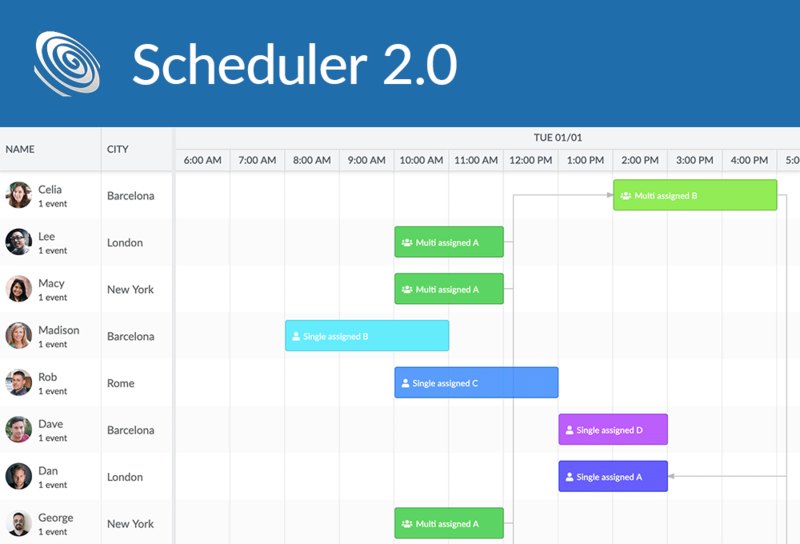 We recommend you to also read the blog post about the Grid 2.0 changes, as they also apply to the Scheduler. For full details on what changed please see the change log.